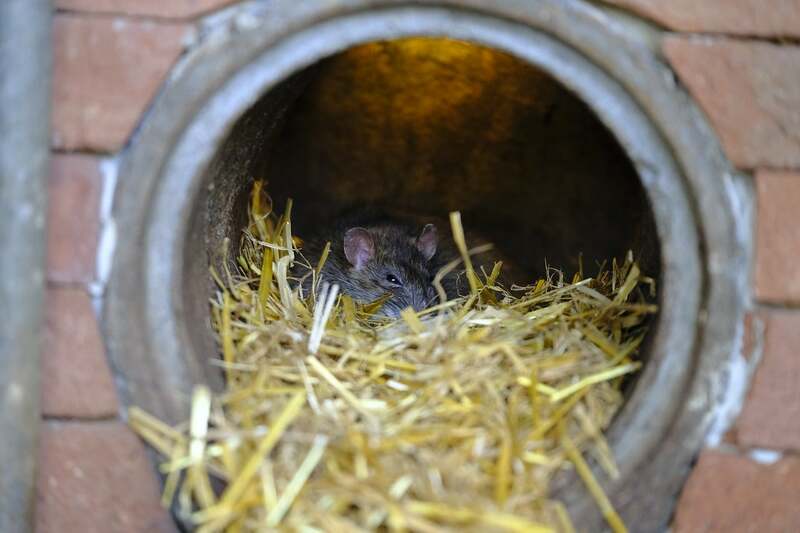 You may not want to think about it, but there may be rats in Halton who choose to make a home for themselves on your property. Yes, right here in Burlington, Oakville, Milton and the immediate region. If you’re worried that these nocturnal creatures have been hanging around, you need to know how to deter them, the signs you may have a rat problem, and how to get rid of them. Whether or not you have a rat problem right now, you need to take steps to discourage them from gathering on your property. Start by making sure they can’t get inside your home — any holes the size of a quarter or more are big enough for them to squeeze through. Repair foundation cracks, use chew-proof metal weatherstripping beneath exterior doors, use fine mesh screens to block exterior vents (ex. for your clothes dryer, attic, or soffits), and use chew-resistant steel wool in addition to caulking to seal up gaps around pipes that penetrate the exterior walls of your home. Get rid of any food and water sources on your property, too. This includes bird feeders and baths, pet food, standing water, and leaky faucets. As a bonus, any steps you take to deter rats will also help to prevent mice from joining the party. Rat droppings are dark brown in colour, pellet-shaped, and roughly one-and-a-half to two centimeters long. In winter, you may notice their droppings when you’re shovelling snow — they really stand out against the white backdrop. In summer, gardeners sometimes find droppings when they’re weeding shrub beds or doing general yard maintenance. If you have rats living inside your home, you may notice the sounds of them running around at night (they’re nocturnal) or scratching at things. And obviously if you actually see one running around your property, that’s a big sign you may have an issue. Suspect rats or mice in your home? If you hear scratching in the walls or ceilings, or see droppings...it's time to get help. Halton Wildlife Services specializes in rodent control services! If you have a rat problem, you need to get rid of them as soon as possible. Aside from the fact that they’re unsightly, they can carry diseases which can make you very sick: rat bite fever, lymphocytic choriomeningitis, bubonic plague, typhus, and hantavirus are just a few of the nasty things they can pass on to you and your family. You can get rid of them by using traps to catch them, ultrasonic devices to repel them, or even poisons. For most people, contacting a professional is the fastest, easiest, and most effective way to take care of their rat problem. But whether you want to get rid of them yourself or hire someone, it’s always better to take care of the problem sooner rather than later. With the right knowledge and help, you don’t have to stress out if you’ve found signs of rats on your property. Their habits are well known, and this makes it easy for an experienced pro to get rid of them. Once you learn a bit about how to recognize clues they’re hanging around, and how to deter them from coming in the first place, getting rid of them won’t seem so hard. But you don’t have to do it alone — contact us today to see how we can help.